For many centuries the country of Tibet, encompassing the Himalayan mountains, was shrouded in mystery and cut off from the outside world. Then in 1950 the Chinese invaded Tibet, cutting a swathe of destruction, killing large numbers of Tibetans and imprisoning many others. Among those who escaped was the Dalai Lama, the spiritual leader of Tibet. And so, out of this human tragedy emerged some good, with the West learning about the Tibetan approach to life. 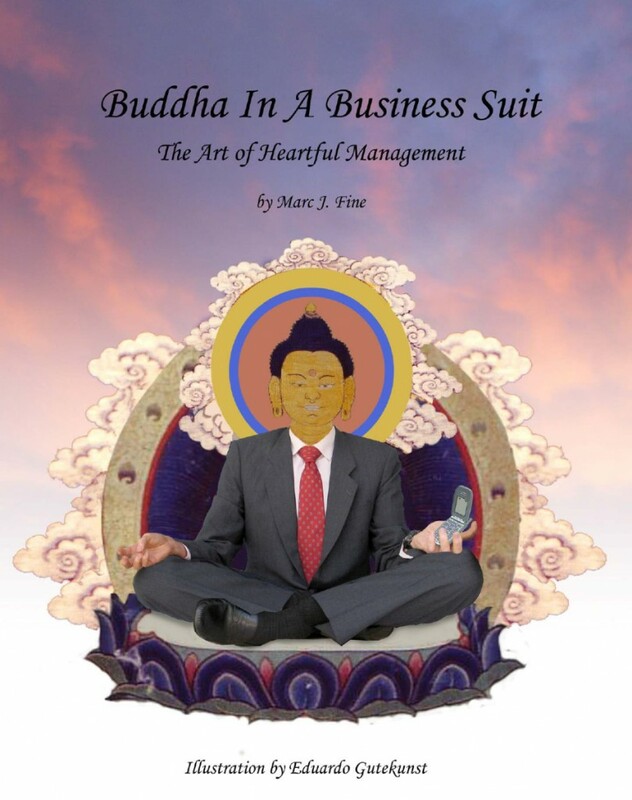 In 1989 Marc Fine travelled to India where he met the Dalai Lama who advised him “take back what you’ve found useful, and leave the rest behind.” Marc followed that advice and the result is Buddha in a Business Suit: The Art of Heartful Management, a beautifully illustrated eBook. The book is not about becoming a Buddhist but it does draw on the profound spiritual teachings of the East to offer persuasive advice on how to run a better business. Some of the concepts that are explored include: Dharma, a spiritual road trip with the Buddha; The Middle Path, balance in the pursuit of moderation; Compassion, the benefits of selfish altruism; and Wisdom, being with ‘what is.’ Marc has arranged each of the 20 chapters in a consistent format. First, Tales from Tibet (and Beyond) tells an illuminating story, and this is followed by a brief description of Buddhist thought and practice as applied to business. Finally, there is a guide for action, Lotus Lessons, that shows how the principles of Heartful Management can be applied. Marc Fine is a thirty-year veteran of the ultrasound industry in the USA. In the 1980s he set about developing the Teknar Proscan, a medical device for the early detection and treatment of prostate cancer. People told him that it couldn’t be done, that the technology was far too complex, but he proved them wrong. His marketing forecast projected sales of a million dollars in the first year and they actually reached that target in one month! And this was accomplished with Heartful Management.